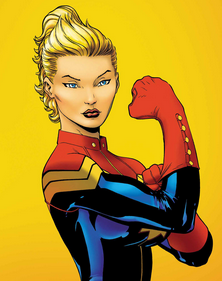 Not a superhero….my favourite name for progesterone pessaries, one of the things I hate most about IVF treatment. I, erm, ‘inserted’ my first one this morning in preparation for the frozen embryo transfer on Wednesday. I’ll be on three bullets a day for the next two weeks. That’s a whopping 1200 mg of progesterone. Is that 1.2g? I think so. Anyway it’s a lot, and I’m now preparing myself for Mega Bloat and the Constipation Factor, the sidekicks of Fanny Bullets. I’m drinking copious amounts of water and eating oranges. Oranges?! I dunno. I’ll try anything that might keep things moving down there. It’s the worst. My helpful husband is always keen to suggest prune juice, which is always a great suggestion if you don’t have to drink it yourself. Anyway hopefully it will all be worth it this time around, I will happily drink all the prune juice in London if this works out for us. Haha fanny bullets. I’m calling mine that from now on. Will see what reaction I get from hubby tonight when I do mine before bed and tell him I’m off to insert my FB. I hate them so much, and I think they hate me too..
I’ve resorted to the prune juice… it’s not that horrible, eating the dried ones isn’t that bad either, and other dried fruits! Good luck! The fruit tastes better than the evil juice that’s for sure. Good luck to you too!